Summer may not have reached the calendar yet but we can all see that summer is here! With the change of season comes the need for a new style change. One great way to make a change is with a new summer hair color. Luckily, this season shows promise that there are great hair color trends for everyone. If brunette is your go-to shade, warm chocolate tops the hit for a cool summer look. The key to a sun-kissed, natural look is warm highlights. 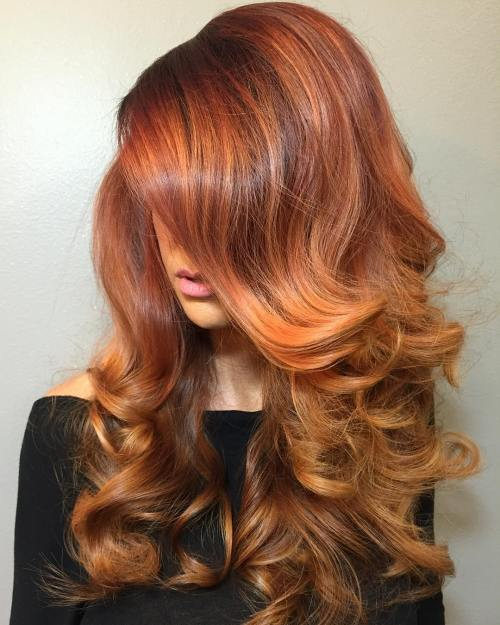 If you want to go with something in between brunette and blonde, try copper. It’s one of this summer’s hottest color trends. If you want to stay true brunette but have your own individual style, try a stark ombre color or keep it subtle some soft babylights. The name of the game this summer is “custom” so have some fun! Redheads, your color is always trending but this season’s shades offer some coral toned shades. The warm color complements your lighter skin tone, especially for those natural redheads. Coral adds brightness and light to any red base and is great because it works well as an all-over solid tone. Want something on the lighter end of the spectrum? Strawberry blonde has once again made a huge comeback with those true romantics at heart. The great thing about hair color is that you never have to stick with the “tried and true”. Pink is a great color to try for summer. Millennial pink is a softer shade that looks great in the natural sunlight and gives you a subdued pink without the statement of hot pink…. And it looks great with your favorite floral summer dresses too! Looking for something fun but a bit more subtler color that is more suitable for both work and play? Rose gold still tops the list of popular hair color trends this summer. It adds a touch of reddish pink without the stark jewel tone colors that can make a definite statement. No matter what hair color you decide to go with this summer, our team at TRU Salon + Spa can help you determine which color is best for you and what type of statement you’d like to make. Give us a call at one of our two locations - Branchburg, NJ (908) 218-9878 or Warren, NJ (908) 753-9878, book online, or download the app for free on iTunes, Google Play, or Amazon.